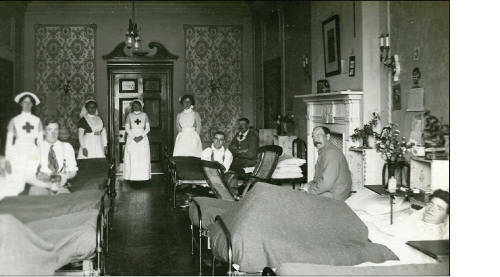 The hospital was established in a large 17th century house owned by Sir Charles Cave, of Clifton, Bristol. Dr. Frank Crossman of Hambrook and Dr. Maurice Barber of Staple Hill were the Medical Officers. Nursing and orderly staff came from local Red Cross and St John Ambulance units. 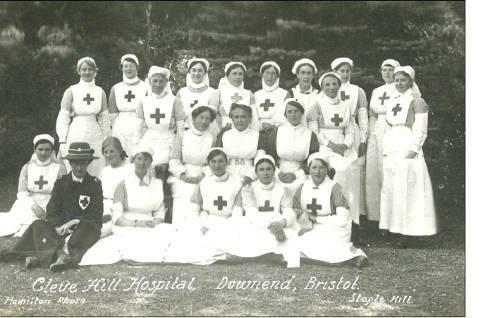 Some 1,343 troops were nursed in the hospital with only two deaths being recorded. 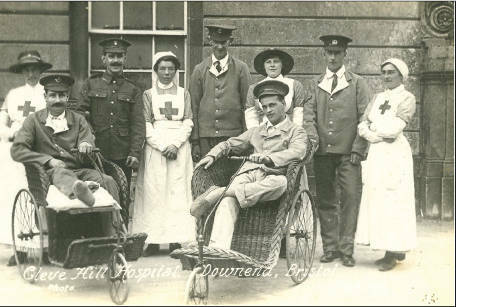 A large collection of photographs are in Frenchay Village Museum, many with details of names, dates and regiments. 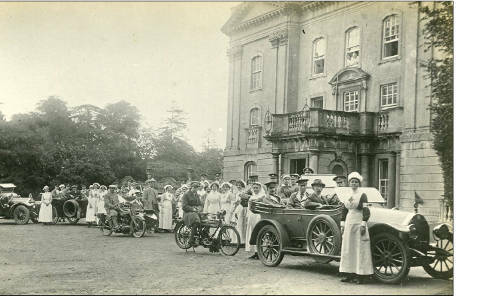 These pictures were taken by Nancy and Molly Elliott of Frenchay and the information provided by the Frenchay museum.